Dunlap, CA - A pan-Orthodox clergy retreat was held, December 6–8, 2011 at the St. Nicholas Ranch and Retreat Center in Dunlap, California (near Fresno). 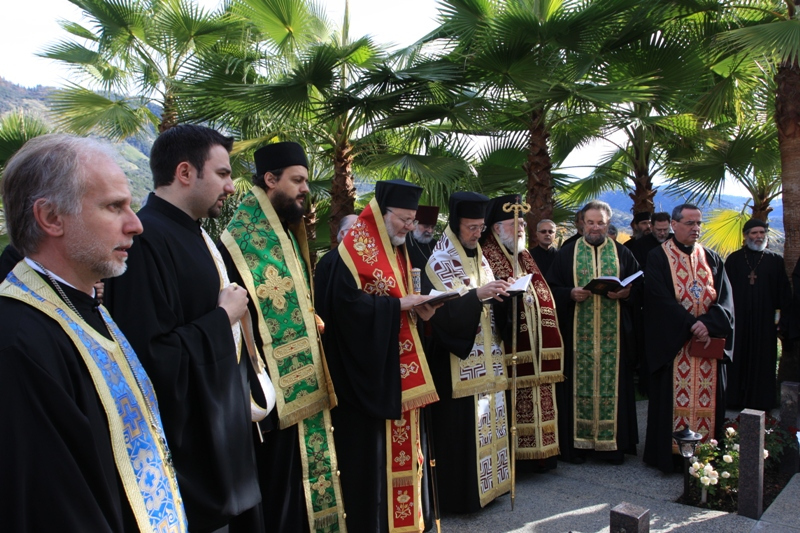 Present at the retreat, together with 60 priests, were the following hierarchs of various Orthodox jurisdictions of California: Metropolitan Gerasimos (Greek Orthodox Church), Bishop Maxim (Serbian Orthodox Church), and Bishop Benjamin (Orthodox Church in America). Bishop Joseph (Antiochian Orthodox Church) and Archbishop Kyrill (Russian Orthodox Church Abroad) were absent. The retreat, presented by Protopresbyter A. Kalivas, Professor emeritus of Liturgics at the Holy Cross Seminary, MA, was on the liturgical themes.